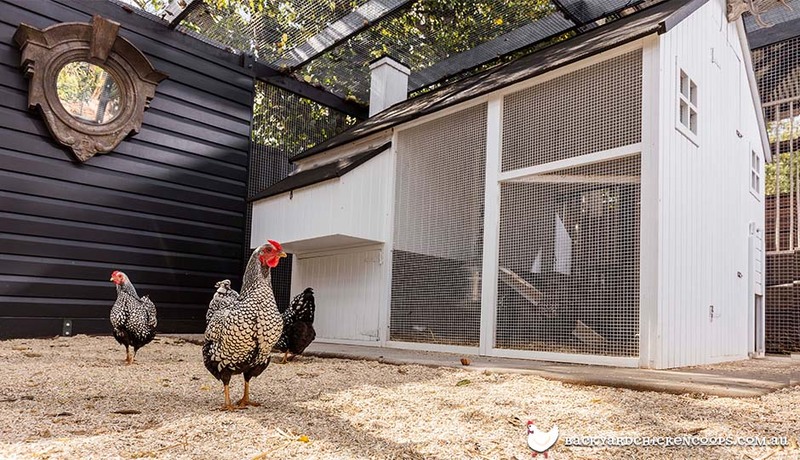 If you are on the lookout for chicken coops for sale there are a few things you should consider. Chickens are habitual creatures with very certain needs and wants when it comes to their environment. But it's not only the life of your chicken flock you need to take into account when choosing the perfect coop. 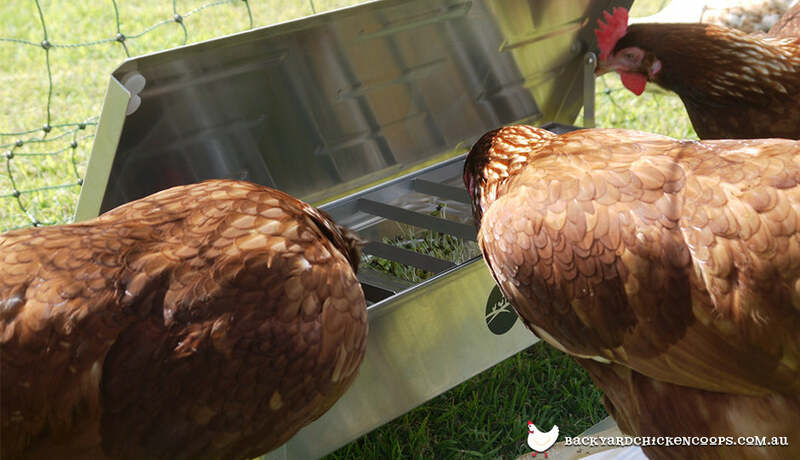 A chook keeper's life is easy and fun with the right chicken coop features, accessories and extras. Chickens instinctively sleep at the highest point in their coop. This keeps them safe and secure and comes from their instinct to perch in high branches in the wild. Make sure your coop perches are designed to encourage this natural behaviour and are higher than the nesting boxes in your coop. Have a peck at our guide to perch importance here. 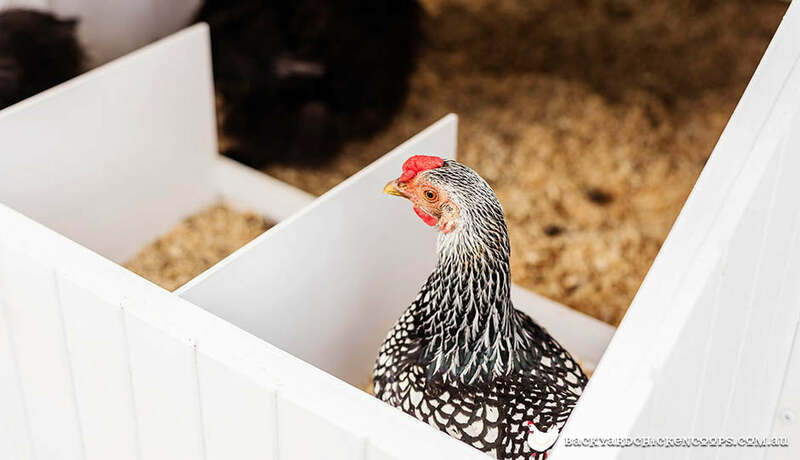 Make sure your coop has enough nesting box space for your chicken flock. One nesting box for every 3 chickens is optimal. The nesting box should be lower than the roosting perches and easily accessible any time your chooks need to lay a lovely fresh egg. Heat, humidity and moisture are the enemies of chicken health and happiness. 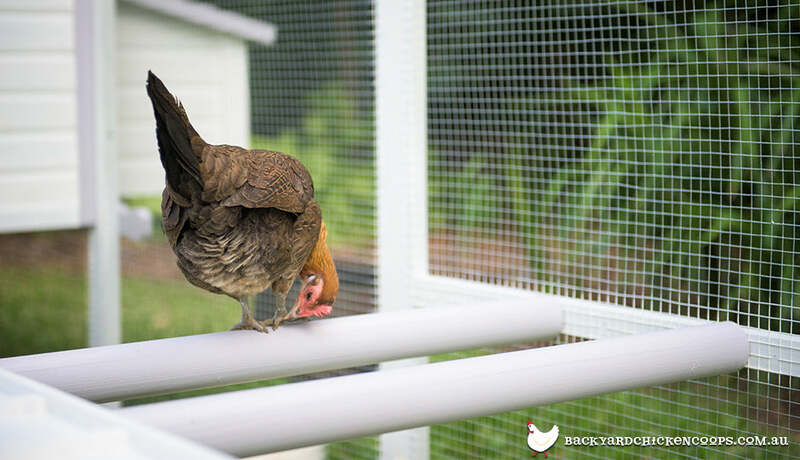 Make sure your coop has adequate ventilation and a chance for heat and moisture to escape. A vented chimney for heat to escape is optimal. To keep your girls safe and sound from an array of predators your coop should feature strong mesh on all entry points. Your chicken run and coop should have maximum 10mm x 10mm mesh to prevent snakes and other predators from gaining entry. A wire mesh floor and predator lights will add extra protection to deter burrowing nocturnal predators. 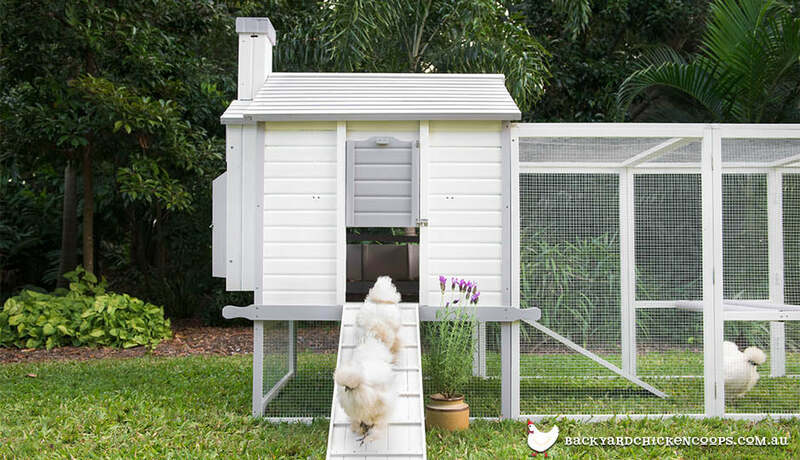 Chooks are trendsetters and their coop should reflect their individual style. Make sure coop can be adjusted to suit your backyard style to keep your garden looking feathered and fabulous. We suggest painting your timber coop with an exterior house paint to keep it protected from the Australian sun and run. 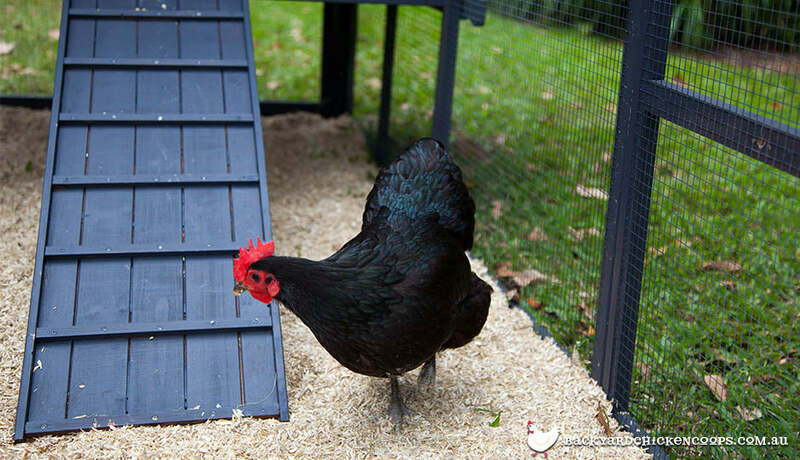 Look for a coop that is easy to assemble and comes with full instructions. Flat pack chicken coops with full instructions and videos make a whole weekend of work only last a few hours. 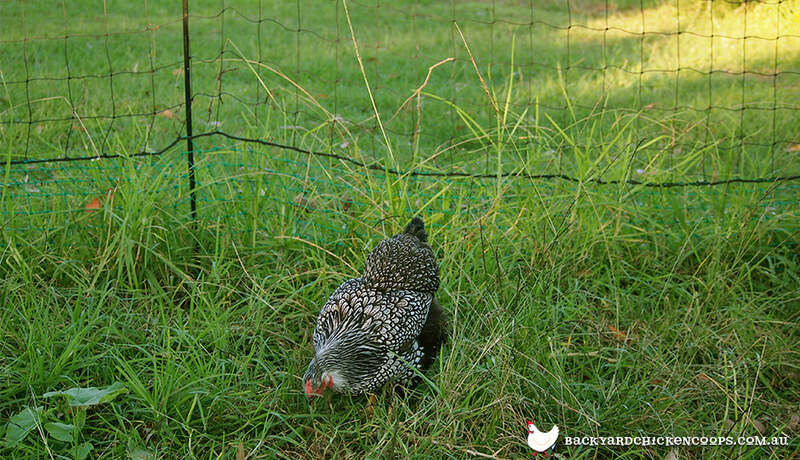 Getting you into the backyard chicken keeper role sooner! Coop floor bedding will need changing to keep your chooks happy and healthy and pull-out cleaning trays make the chicken keeper life easy. We suggest Hemp Bedding to keep your chooks dry and comfy year round - it's super absorbent, pest repellent and can go straight into the compost or garden bed when your girls are done with it! 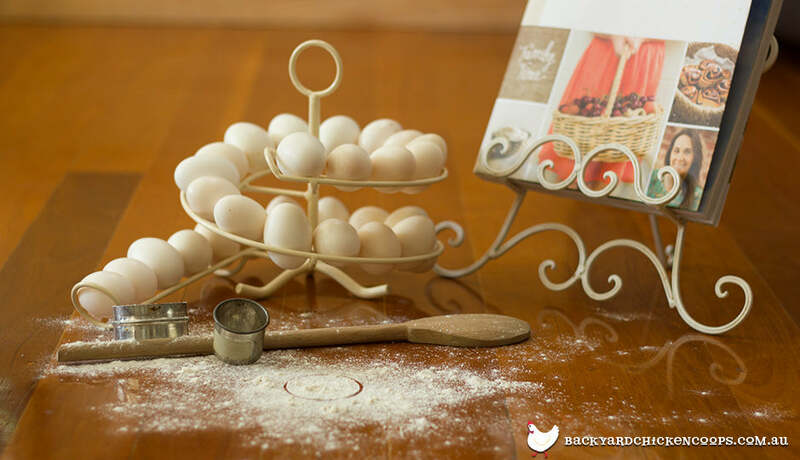 Once your chooks start laying it’s easy to keep track of your egg freshness with the handy Egg Skelter. 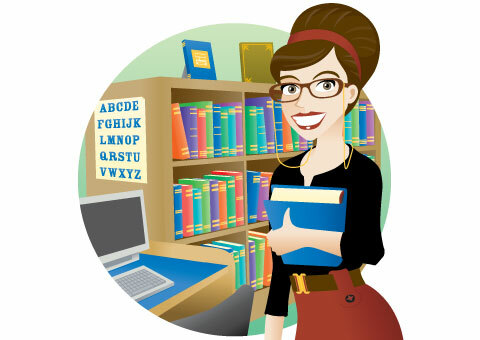 Pop your newly laid eggs at the back of the line and take them as you need from the front. When it comes to keeping your chooks happy and healthy, prevention is always better than the cure - but the Hen Health Kit handles both! 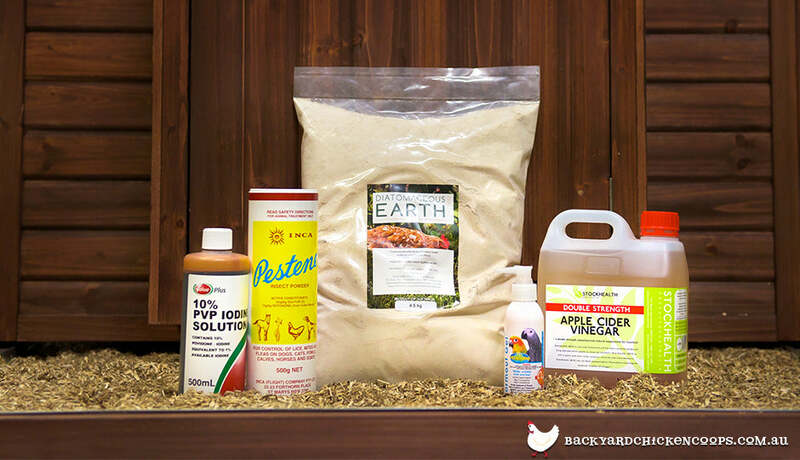 Prevent hen health issues and treat them when needed with this essential pack. Free range foraging is essential for keeping your chickens mentally stimulated and physically active. Get your chooks out and about and protect your lawn or vegetable garden with this handy demount-able Poultry Fencing. Easy to set up and movable as your garden needs change over the seasons. Need extra poultry or predator protection? Keep your flock safe from predators or your garden or vegetable patch from curious chooky beaks with some reliable and safe electric fencing. Chickens are notoriously voracious eaters. When a chook loves her chicken feed she tends to get excited and can spill conventional feeders in her frenzy. 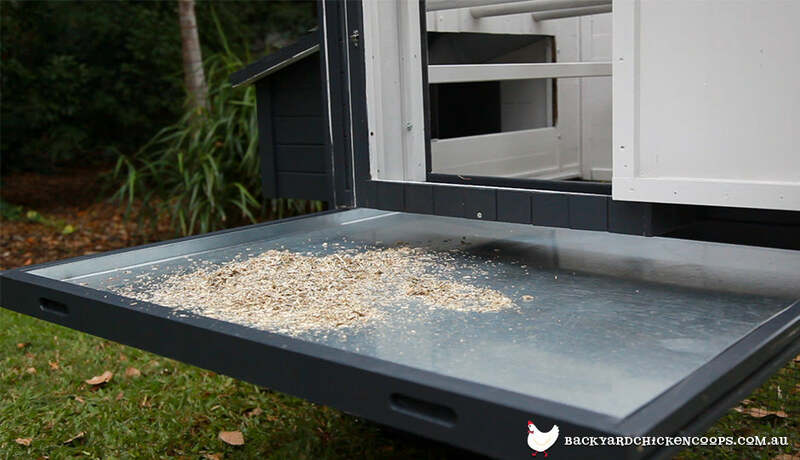 This chicken only Free Range Feeder helps prevent spillage and keeps pests like rodents, insects and ruining rain from wasting your hard earned chook grub. Nothing motivates a chicken like a treat. Mealworms are a rich source of protein and help you bond with your brood. 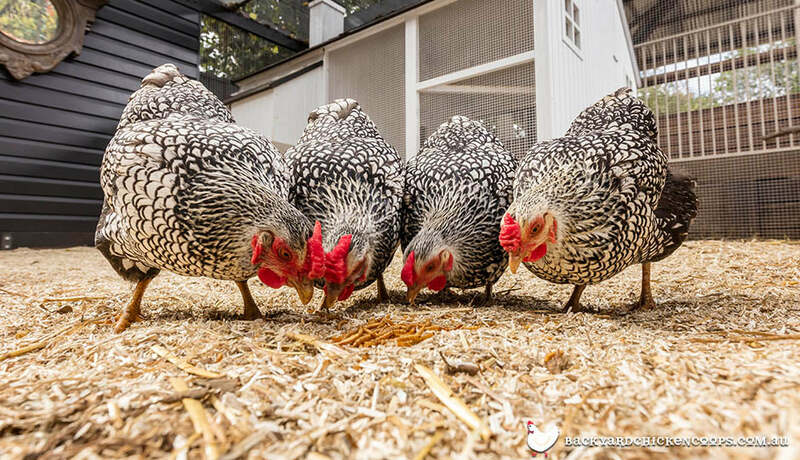 Shake a bag of these healthy and delicious (to chickens) treats and watch those ladies come running across the chicken yard. If your girls are confined to a chicken run for most of the day it's important to keep them occupied and engaged. 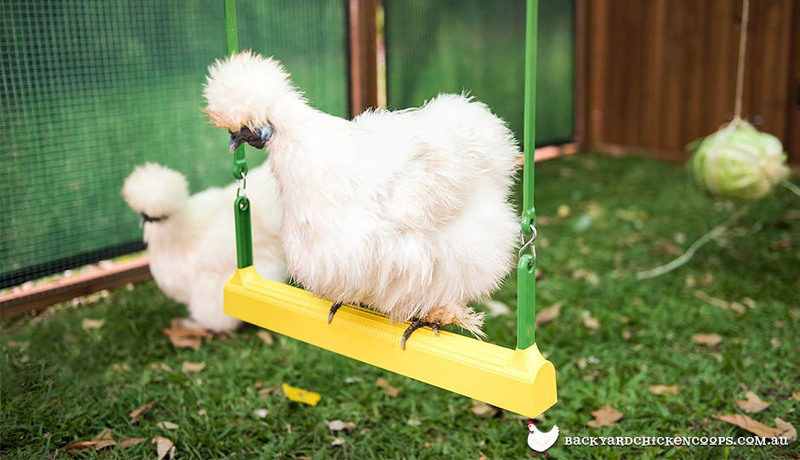 Pop a Chicken Swing in their run and watch your chooks swing their cares away with this quirky poultry enrichment toy. Ready to get cluckin'? 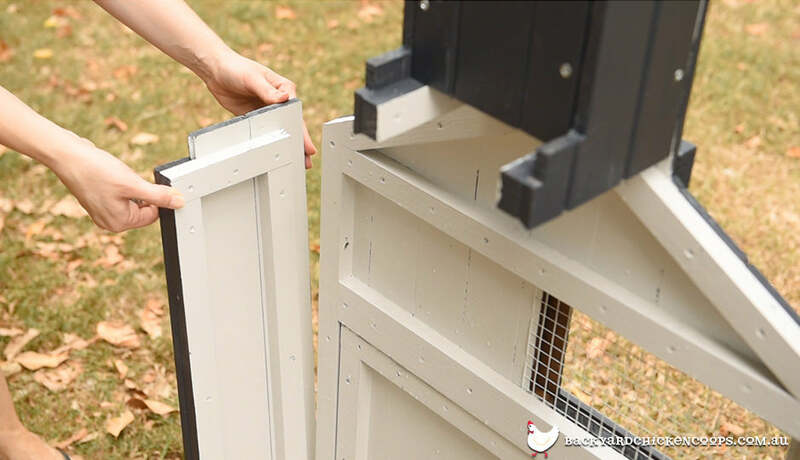 Have a peck at our checklist for chooky beginners and make your chicken coop dream a reality today with our egg-cellent range of chicken coops, chicken runs and accessories!